As many of you may know, Sammy started a preschool program this year at the Paso Robles High School Bearkitten program. And many of you may know as well that Sammy was never a daycare kid. Annie was home with him the first three months of his life and when she went back to work I was the work at home dad for about two years and now she’s been working from home now for a little over a year. So for us the need for daycare wasn’t there. We felt like not being in daycare had its pros and cons, like with so many things in life. The pros were that other people weren’t raising him, we were. Albeit stressful, being home with him changed my life for the better. Him and I have a bond that I do not often see between a father and son. The cons were that he wasn’t getting used to being with other children and in those social environments. Either way you look at it, parents have to make the choice that fits their lives and we know that many parents simply don’t have the luxury to be able to work from home. I say all of this to provide some context to the next part of the story. Initially, I was skeptical about a preschool program at the high school. The main reason of doubt was thinking about high school kids, as I perceived them, were going to care for my kid 3 days per week, 4 hours per day? No way! I’ve since said these exact words several times throughout this school year, “the high school kids in the Bearkitten program have helped restore my faith in humanity”. It’s true. The teachers were amazing, day in and day out. They were respectful. They acknowledged the parents and kids each morning at drop-off and each afternoon at pick-up. They seemed utterly and genuinely in to our kids. Honestly, I was shocked. It was even amazing to see that it was not only female high school students, there were several male students taking part in this program. What a learning experience for them…and for our little ones. But now you have to get to the heart of the story. Brenda Matthysse. Brenda is the teacher that runs the program. Her son was a Bearkitten many years back and was now IN her class as a Bearkitten teacher. At the “graduation” ceremony held at the high school on June 3 for the little ones that would be moving on to kindergarten, I saw firsthand how special this program is. 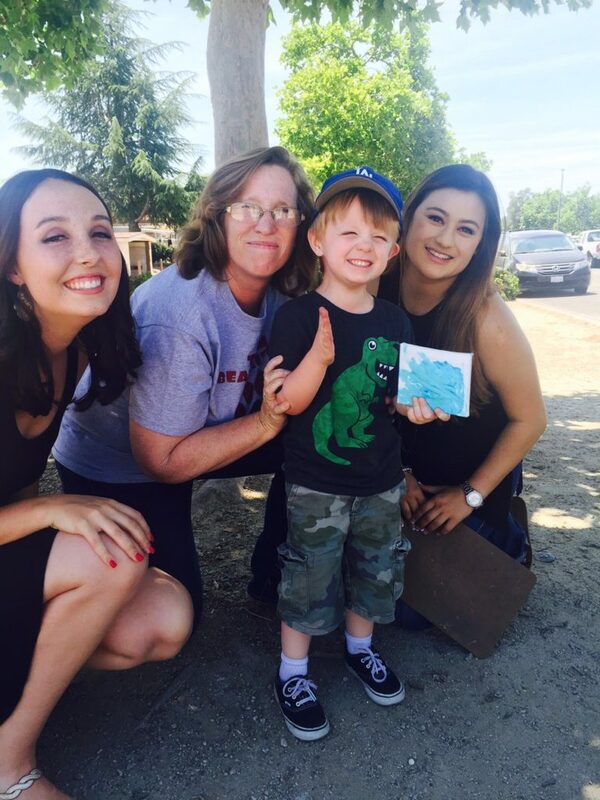 I saw how special it is for the little ones, for the high schoolers…and for Teacher Brenda. There were many emotional moments between Brenda and her high schoolers. And the way she spoke about them, and our little ones, proved to me beyond a shadow of a doubt that she is doing what she was meant to do in life…impacting our youth. I cannot express it enough, putting Sammy in this program is one of the absolute best decisions we’ve made thus far as parents. We are very grateful for Brenda and her high schoolers and look forward to Sammy’s second year in it prior to moving on to kindergarten. That is awesome, so happy you made that decision. Life gets better. So happy for Sammy! He kinda got the best of both worlds.